The use of email in digital marketing strategies and the application of artificial intelligence (AI) to email are hot topics in many content marketer's circles. Various individuals have sounded the call, that "email is dead" as a key tool in digital marketing. They're wrong; more emails are sent than ever before, and numbers are expected to continue to grow. This may mean more noise, but it's also a call to action to make your emails stand out, be more effective, include less BS but more useful info, and deliver it in a smarter fashion. Rather than being "dead", email continues to be a critical "nutritional" component for any digital marketing strategy (see the Fundamentals of Digital Marketing for the Outdoor Industry). It is particularly important in the expanded "re-marketing" opportunities that are being created through increased direct consumer buying on the Internet. However, if your email strategy is suffering from anemic results, you can increase the potency of your email efforts and generate increased performance by incorporating the new AI capabilities that are available for use with email. Let’s take a closer look at what AI deficiencies your email be experiencing and examine a specific case study of how an AI enhanced email software platform can deliver results. One of my terrific co-workers, Casey LeBrun, just gave an informative presentation at Denver Startup Week. Rather than reading on, you can watch his presentation (12 minutes). Want to Know if Your Current Email Practices are Deficient? Ask These Questions. Is your email marketing software capturing all the information your audience is telling you something with every email you send and receive? Is your email marketing software connecting with prospects and customers on their terms and not when it's convenient for you? 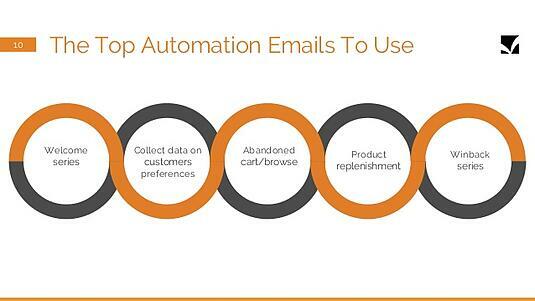 Is your email marketing software allowing you to automate the analysis of your marketing engagement and email data to gain new insights? Is your email marketing software providing you with predictions so you can understand when and at what frequency to communicate? Is your email marketing software giving delivering emails at personally optimized times for each contact? Speaking of being smarter, why not let these cool computer machines do all the work? New AI software is enabling us marketers to get the right content, to the right person, at the right time. For example, Seventh Sense; allows us to look through an entire database of users, analyze their email behavior, and then automatically send them emails at the time they are most likely to engage. We're only seeing the tip of the iceberg for the AI future on the horizon. Email has been a key component in everyone’s digital marketing plan, but it will play an even more significant role in your digital marketing strategy and performance going forward. Here is a success story on how we utilized smart AI email marketing as a key component of an overall digital strategy to measurably improve results.